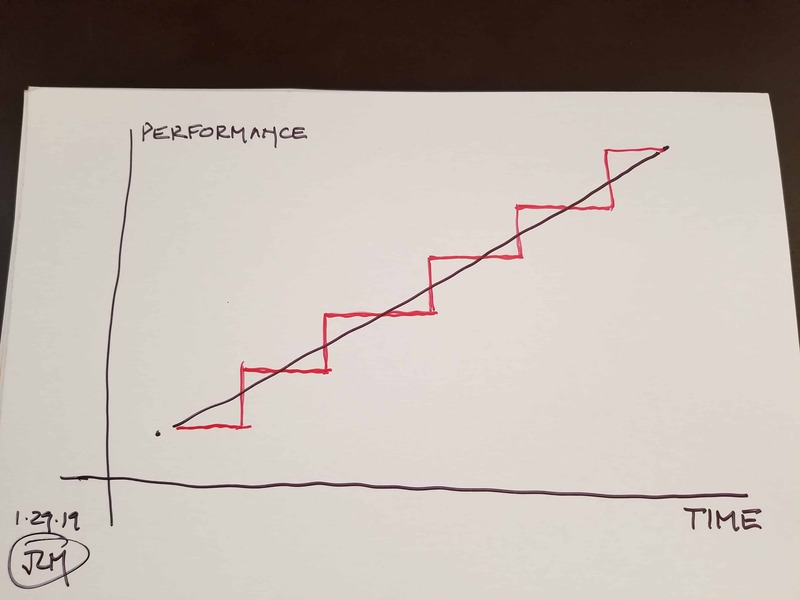 Then, we have the incremental, stair step type of performance. Like this. This chart suggests that growth is also fairly regular, but occurs in clear increments. Bit more realistic, but real? This chart is beginning to look more like what a startup endures as they struggle to grow, but are confronted with varying rates of growth as they blunder forward. 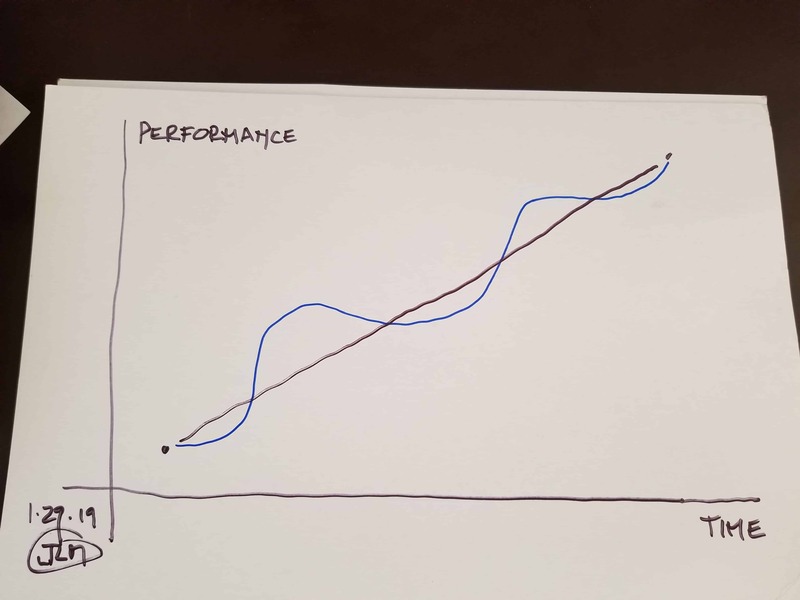 It reveals two important things — growth is not orderly and repetitive and there are slack periods. The slack periods may even slide backwards as show here. 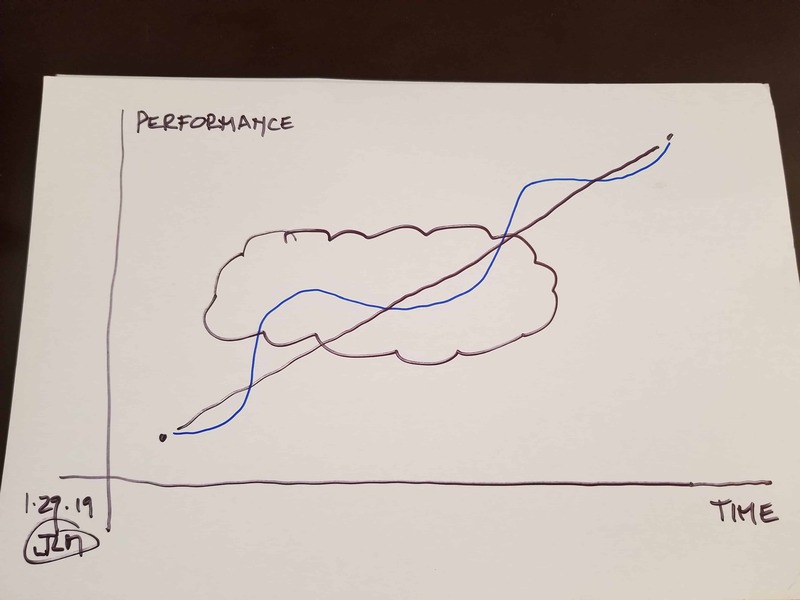 This last chart seemed to capture the consensus of the learned CEOs — growth is not a nice, clean upward and to the right curve and there are slack periods — note the cloud bubbled flat growth above — that may feel hard and unwelcome. Still, it is all on the same journey to the upper right Promised Land. BTW, you may note that these charts are hand drawn on shirt cardboards. One of the BRC’s secrets is the I have all my shirts folded by the laundry (light starch, folded, boxed, highly transportable) with a cardboard inserted in each finished shirt. I do all my planning (have for decades) on these shirt cardboards. There, now you know my secret — the re-use of shirt cardboards. I was a recycler before it was famous. But, hey, what the Hell do I really know anyway? I’m just a Big Red Car. Stay alert; stay alive. Stay warm; stay dry. 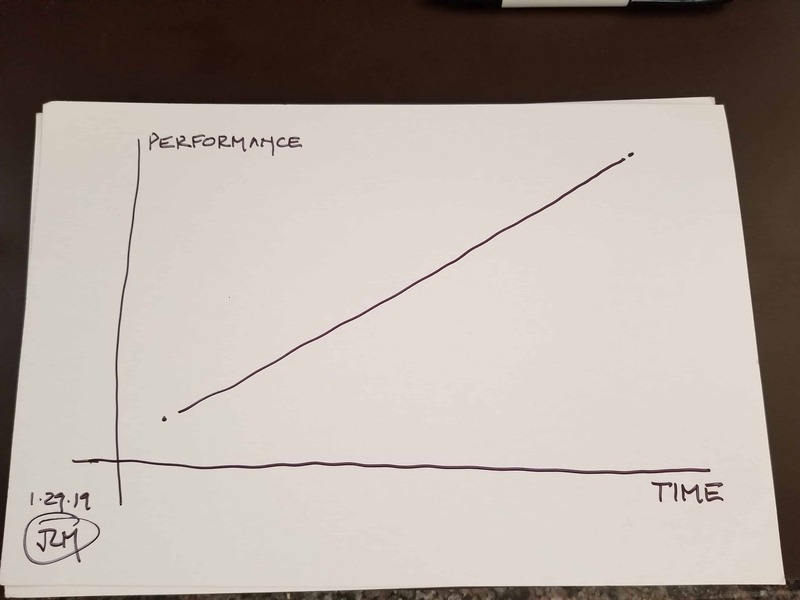 This entry was posted in Startups and tagged growth, startup. Bookmark the permalink.